When I entered a Masters in Fine Arts in 2010 I was expecting to solve a series of questions that I had towards the action of recording. I felt that the ephemeral and unrepeatable experience of a certain moment couldn’t be fully dealt with by simply using microphones, a recorder and loudspeakers. During the process of my Masters I developed an interest in the convergence of our architectural, sculptural and sonic perceptions of the world: three aspects that are strongly connected in the construction of the resonance and sense of environment that we can establish with a certain moment. Three years later I was immersed working on ‘Deriva y catástrofe’ my final Thesis project where sound composition, sculpture and architecture worked together towards the idea of the catastrophe and its three stances: the anticipation, the strike and the aftermath. A sort of performative space containing quotidian objects that when moved produced a series of sonorities and musical structures. The idea of the project was exploring how the catastrophic events confront us with ourselves through the mixture of the pleasure we find in the formal display of the destructive forces and the compassion we feel towards the object of destruction and its resistance to its imminent disappearance. ‘Deriva y catástrofe’ required infinite hours of construction work, research, practice, errors, budget overflow, aspects that lead to moments of disappointment and to a constant sense of crisis that lead the project to a temporarily cancellation a few days before its exhibition: the process behind the work became a personal intimate catastrophe that pushed me to the brink of losing my emotional grip: ‘Deriva y catástrofe’ confronted me with myself like no other project ever did and it will leave a strong mark in me for the rest of my days. Deriva y catástrofe’ materialized to perfection, its exhibition draw very positive comments and interesting feedback from the Thesis jurors John Castles -sculptor- and Federico Demmer -sound composer-, and from some members of the audience as well. The title ‘Unseen terror’ was given on the earlier stages of the ‘Deriva y catástrofe’ project and served as some sort of anticipation of the crisis that I will go through while materializing the project. 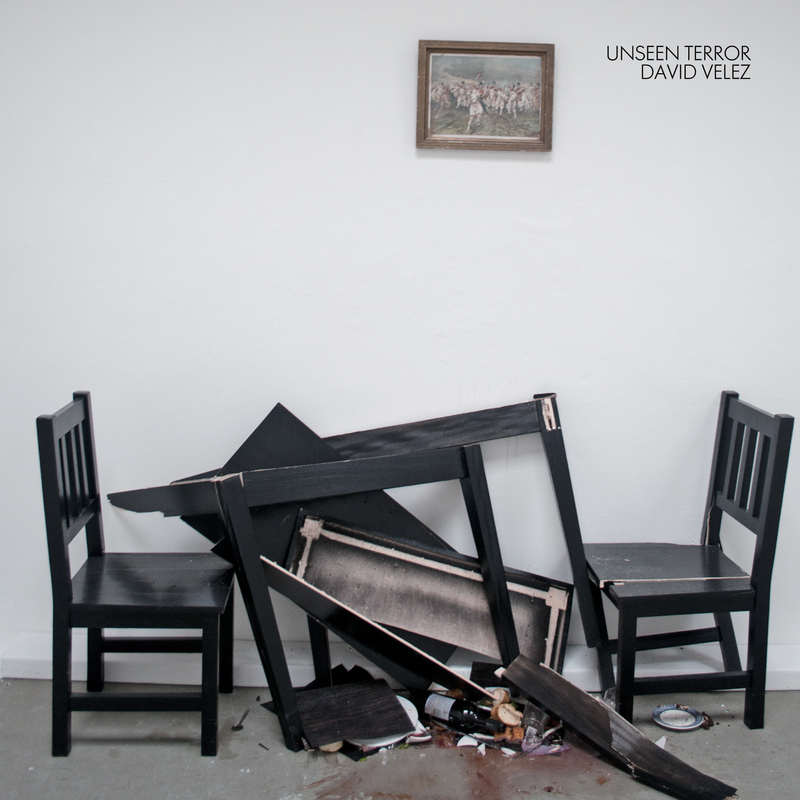 ‘Unseen terror’ was composed using sounds captured during the research and production process of ‘Deriva y catástrofe’ between August of 2012 and February of 2013. I would like to thank Lina -my wife- for all the patience and support during this process, Jorge Rincon -the logistic director of the project- for its incredible work and emotional involvement, Trixi Allina -my Thesis Director- for her guidance, Andrés Cortés, Sebastián Palau and Andrés Ñañez for the documentation, Marta -my mother- for her support and interest in the project, Rojo Galería for the exhibition bracket, the crew (Javier, José, John and Diego) and would also like to thank Yiorgis Sakellariou for his interest in this project and for providing his great publishing project Echomusic to release it. Extended thanks to Camilo Rojas, Felipe Rodriguez, Juan José Calarco, Chris Whitehead and Darius Ciuta.